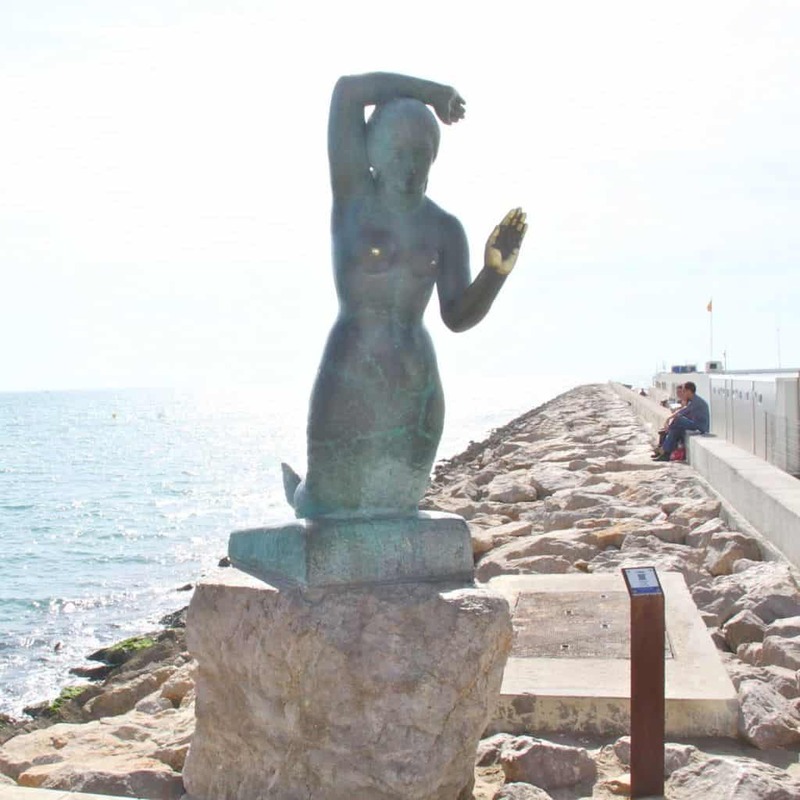 Just 35 kilometers from Barcelona, Sitges is that ideal not-too-far-away escape from the city. In fact, I was here this past weekend and the sun was beating down perfectly. But it’s not so warm that everyone’s diving in the water. I’m guessing the only people I see in the water are from Northern Europe?! 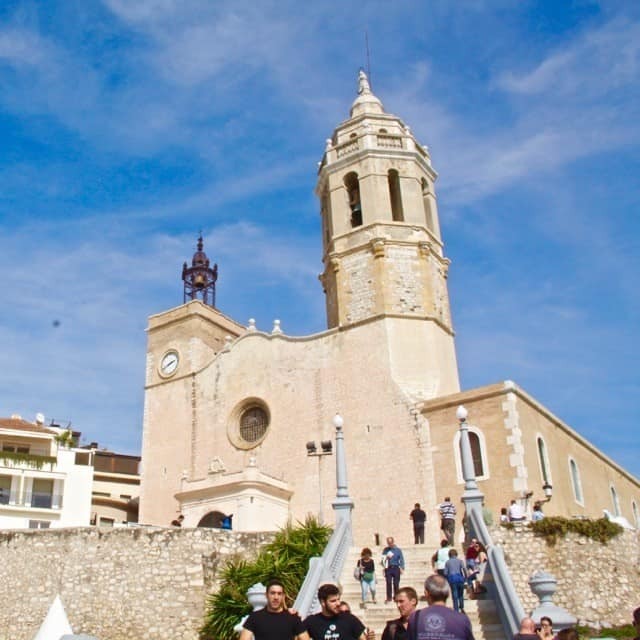 Sitges has got its relaxing beaches, church on the hill, and quaint, cobblestoned streets. This small beach town also has a bit of a wild streak. It celebrates the Sitges Film festival, where horror and sci-fi films are conveniently celebrated a few weeks before Halloween. And it’s also infamous for its its Carnval parades and the world-famous annual Gay Pride Festival, where you can see eyeful of foam parties, underwear party nights and the Spice Girlz tribute. Awesome. 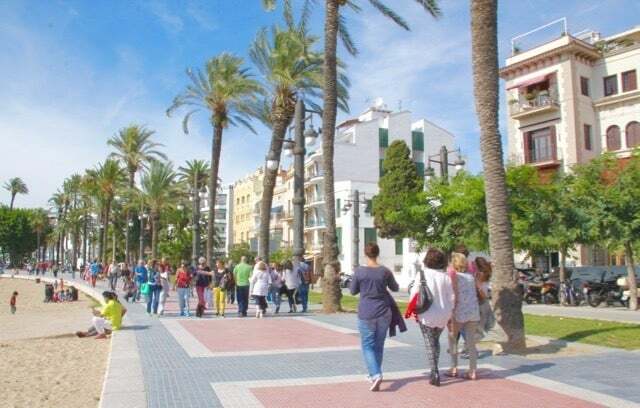 When you get to Sitges, people just automatically head to the Passeig Marítim, where you walk the boardwalk and breathe in the fresh air and see the seaside town’s front. 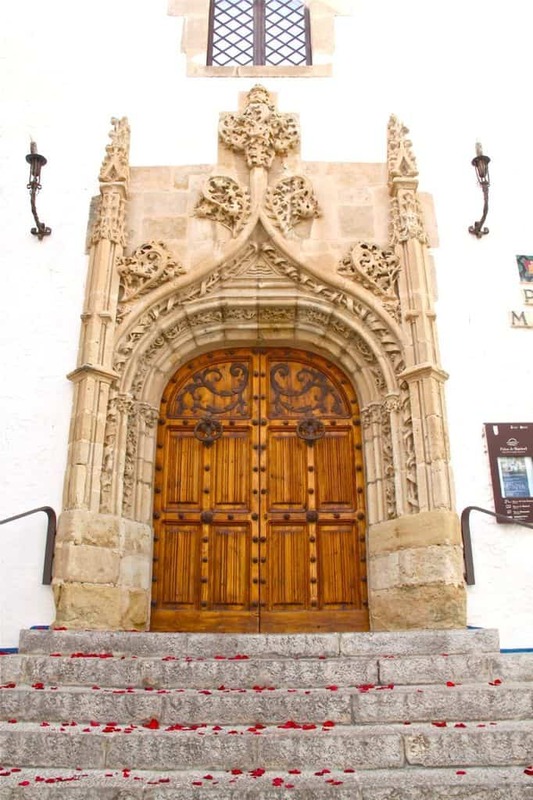 Heading towards the Church of San Bartolomeu i Santa Tecla, you can see the Gothic stairs and beautiful tower. Oh beautiful, intricate door. What’s behind you? 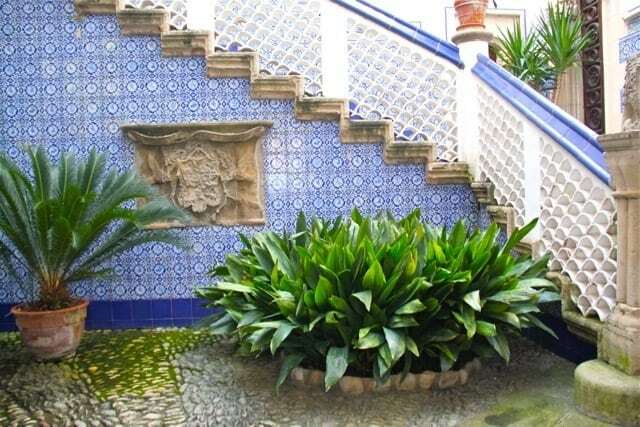 This — it’s the interior of the Palau Maricel, which was built in 1910. Now it’s used as an event venue. Locals and tourists typically walk around realllly slowly and get lost in the streets. Every day I feel more motivated to paint my door blue. 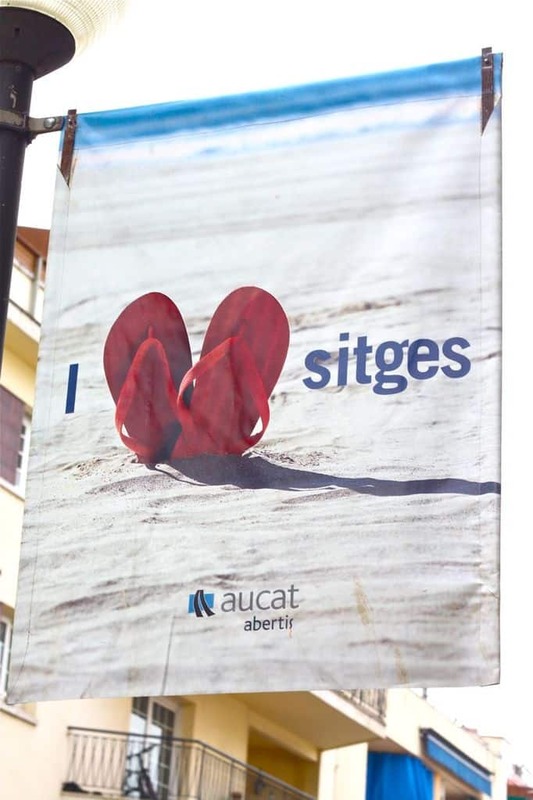 Sitges has 17 beaches. This one is the Platja de Sant Sebastià, where you’ll see vendors and different events on the weekends. 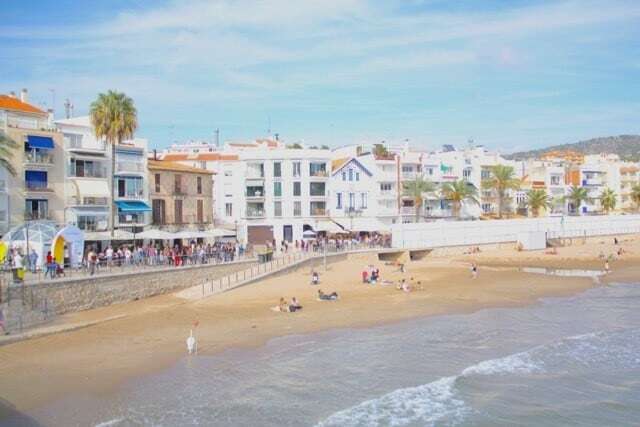 It’s got the sea breeze coming along it, and like in many parts of Spain, you’ll see a bit of everyone — families, young friends, couples, old folks, and all. 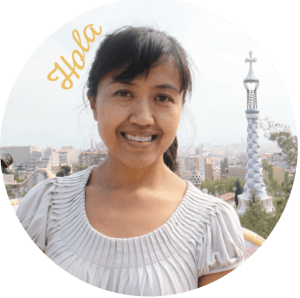 Public transportation – Not only is it just a half-hour train ride from big-city Barcelona, it’s worth a visit the rest of the year, including winter. You can get there from three stops in Barcelona: Estació Sants, Passeig de Gracia, or Estació de França. Look for the RENFE signs, and take the C2.